Is there such a thing as a unique “Zürich photography”? Is it possible that a photographic viewpoint can develop from a particular place that distinguishes itself from the rest of contemporary photography? Published to commemorate the seventy-fifth anniversary of the Zürich School of Art and Design’s photography department, Photography, Made in Zürich documents how the illustrious program forged a niche in the international art world and cultivated Switzerland’s foremost photographers, including internationally renowned artists such as Werner Bischof, René Burri, and Ernst Scheidegger. This lavishly illustrated volume reproduces the work of over forty students from the past two decades, including such young stars as Olaf Breuning and Shirana Shahbazi. 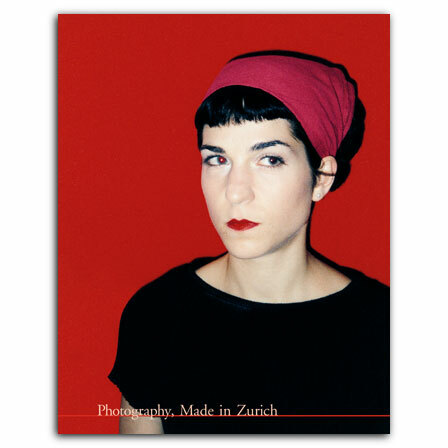 Their photographs are accompanied by essays that probe the unconventional atmosphere and avant-garde teaching philosophies that helped establish the Zürich School’s creative reputation. Photography, Made in Zürich will delight all followers of twentieth-century photography and the electrifying world of contemporary art.